I'm sure there was a lot of buying going on over the last few days with Black Friday and now Cyber Monday. I got a couple of really good deals over the weekend but one of my favorite buys came in the mail today. 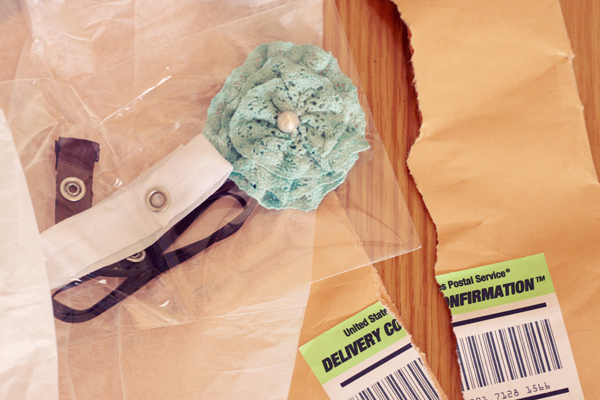 It's a bow I ordered from Lulu & ChaCha. I found the Lulu & ChaCha through my sister's blog where they're sponsoring this month. They have some seriously cute headbands and bows. Check out http://www.thejoycottage.com/ later to see her photo and to link up with the challenge.